The software affords exceptional design refinement, which naturally leads to the most efficient deployment of roof decks. It provides a sophisticated approach, devoid of the simplifications, conservatism and inevitable compromises of traditional design techniques. 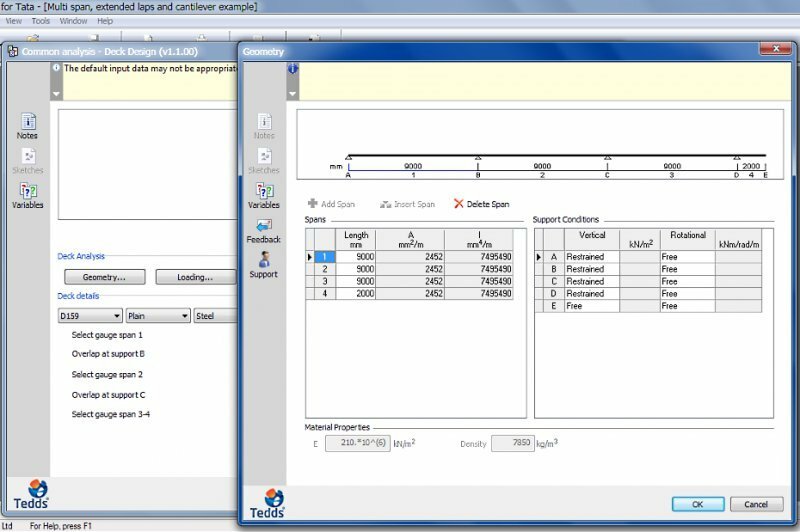 This calculation checks the design of Tata Steel structural roof decks subject to perpendicular imposed loads. In plane loading is not checked in these calculations, contact TATA technical department if needed. The calculation allows you to analyse any selected roof deck of up to 4 spans, the end spans may be defined as cantilevers. Extended end laps of between 10% and 20% of span can be included, with a different deck thickness at each side with up to 20 loads per span, 20 loads per support, 8 different load cases and 20 load combinations. 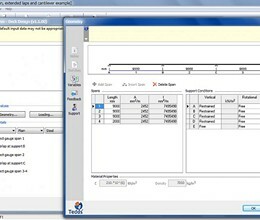 The calculation is intended for use in the analysis and design of structural decking used to support roof elements. Deflection is calculated by using unfactored load combinations. * RoofDek Analysis download link provides freeware version of the software. RoofDek Analysis has been rated 5.0 out of 5 points. A total of 1 votes cast and 0 users reviewed the software.